Today’s Topic: YA Highway’s Road Trip Wednesday has reached the 100th mile marker. How has YOUR writing journey gone so far? One-hundred Road Trip Wednesdays?! Huge congratulations to YA Highway and its contributors on their longevity and all their success. 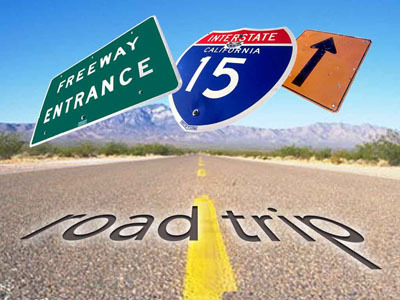 Thank you so much, Highway-ers, for bringing your genius to the YA community, for doling out wisdom and expertise, for sharing insightful, informative, diverse, and entertaining posts, and for inviting aspiring authors like me to participate your fantastic Road Trip Wednesdays. I’ve met tons of incredible people since I first joined in over a year ago, and I’m so thankful for this outlet, and for this chance to belong to such a friendly and supportive community. Here’s to another hundred Road Trips! Um… my writing journey? It’s going. 🙂 I’ve met some goals, for sure, and I’ve set some new ones. I’ve grown in many areas, and I’ve identified others I’d like to improve upon. I’ve signed with a brilliant agent. I’ve made some amazing friends. I’ve read some inspired books. I’ve written some beautiful words. I hope my writing journey continues in its forward motion (no reverse, please! ), and I hope it continues to give me a sense of self and accomplishment no matter where my final destination may be. How’s YOUR writing journey going? I don’t think it’s possible to reverse once you’re on the road. Well, unless you give up. Which you won’t. So, YAY! Oh, no… no giving up here! I’m in waaaaay too deep! No reversing for you, young lady! I can’t wait to see the next step in your journey, because I’m sooooooooooo itchy to read your books! I’m delighted with how mine’s going–fantastic agent, I’m excited about my stories. Now for that next step, fingers crossed! Thanks, Amie! I think feeling excited about what you’re writing is the highlight of this crazy journey. There’s nothing like the high of watching your story come together! Can’t wait to pick up one of your books, Katy! Glad we came across each other on our trip. Glad to hear your in forward motion! Keep it up! Thanks so much, Linda. The supportiveness of the YA community consistently blows me away. I feel so privileged to be a part of it! It HAS been a great journey so far, Lora. Lots of highs and lows, as I’m sure you (and every other aspiring writer!) can relate to! Right now, to me signing with an agent is a next major milestone, so I can only imagine how cool that is for you! And how affirming, to know an industry professional loves your work so much she is willing to go publisher-to-publisher trying to spread her enthusiasm for you and your writing. I wish you all the best, Katy! Thanks so much, Colin! Signing with my agent has definitely been one of the extreme highs of my writing journey so far. I really do feel lucky to have her on my side. Good luck to you in reaching your next milestone. Here’s to good news in the very near future! Nice, concise, sum up of your journey! Hope it continues onward and upward! Thanks so much, Jennifer! Same to you! Thanks, Sarah. 🙂 It has felt successful so far, and very fulfilling. Fingers crossed for exciting things for ALL of us! You’ll get there, and you’ll feel amazing when you do. Thanks, Jaime! Congrats on an enjoyable ride so far and best of luck with the next leg of your journey. Fingers crossed on the no reverse! Uh, yeah… for both of us. 🙂 Thanks, Alicia! Judging from the snippets of your story you’ve revealed here, I’m pretty confident you’ll only be moving forward. You’re a great writer and I have no doubts you’ll be hitting another milestone soon! Thanks so much, Tracey. You’re too sweet! And here’s to lots of good news and success in YOUR future as well! I think your journey is going quite well and I am very proud of all that you’ve accomplished. Also, how do I follow your crazy WordPress blog so it shows up in my Google Reader? I have no idea! WordPress’s inability to cooperate with Google Friend Connect is my ONE gripe with its service. I know there’s a way, but I’ve spent hours and have yet to figure it out. Sorry about the inconvenience! Thanks so much for your kind words, Christa, and likewise on every point! As someone just getting into the reading/writing/blogging community, after doing all three in isolation for a long time with varying degrees of success, I can definitely say that the friendliness of the community is pretty amazing. I’m always so excited to see new people coming over to my blog and commenting–it makes me feel like, hey, if I can do this blogging thing, then maybe I can finish that novel! All these people are out there doing it and writing about it–it makes it a little less scary and a lot more fun. Thanks for sharing your story! Knowing you’re not alone definitely makes the whole process a lot less intimidating. I’ve often thought, Hey, look at her! She’s making it happen. Why can’t I? I find the success of others a great motivator, especially when those who’ve “made it” (finished a manuscript, got an agent, sold a book, made the NYT Best Seller list, whatever…) giveback and remain humble and friendly and supportive. Love that! Congrats on all your successes, Katy! So glad to have run into you along the road. You are an inspiration! By the way, I finally read LOLA. LOVED it! Thanks so much, Sara, and same to you! And I’m so glad you loved LOLA. I knew you would–everyone seems to!